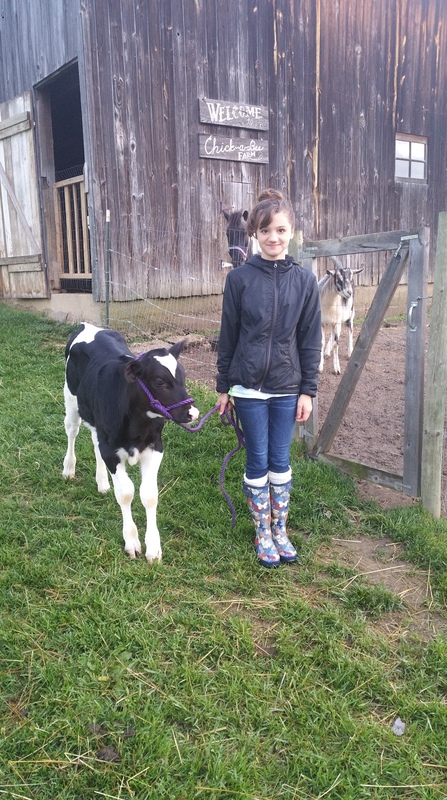 My friend, Erin, has a daughter in 4H who is taking a calf to the fair this year for the first time ever. Erin brought Klaus home in the backseat of her minivan, but he’s too big for that now so she needed some help hauling him to a weigh-in and vet vheck. I volunteered Red and traded the use of the trailer for soap (Erin makes the best soap!). Ivy had Klaus ready when we got there. She had bathed and brushed him. Isn’t he just gorgeous? She led him to the trailer and stepped up inside it, and she stood there a minute while he sniffed all along the edge. Then Klaus just jumped right up in there with her! I was impressed. When we got to the fairground, we watched the four trailers in front of us unload their calves. 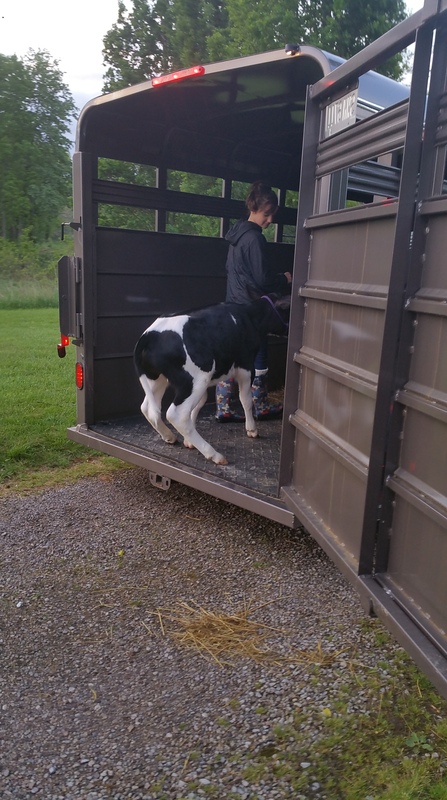 We probably saw about fourteen go through before us (multiple calves per trailer). I am convinced Ivy has the best behaved and most tame calf of all of them. Klaus stepped on and off our trailer with ease both tines, walked through the gates and into the headgate with ease – and he did just fine. 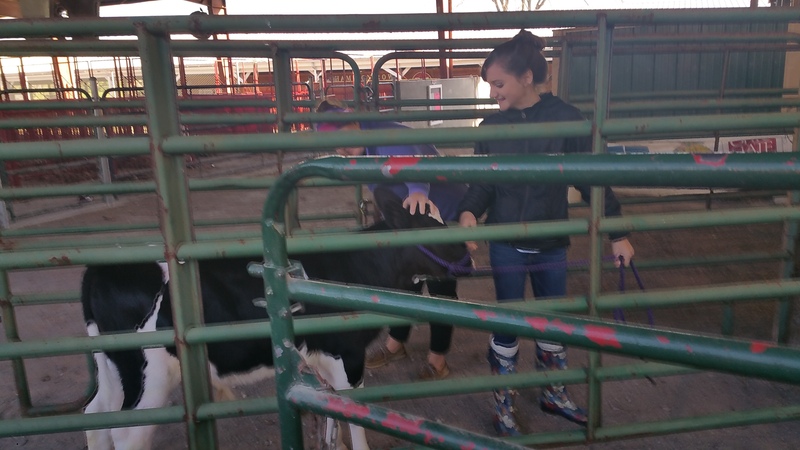 Other calves were being pushed and pulled around to get them where needed. The only time Klaus was pushed was when the workers failed to catch him in the headgate as he followed Ivy right on through; they pushed him backward into it before she had the chance to turn around. He weighed in at 200 pounds on the nose so he definitely made weight for the fair. Now he stays home with her until he gets sold at the fair in July. …and so happy with the soap haul for doing it! Contact Erin at Chickabee Farm for all of your soap needs! ← Saved from the mouth of Luci(fer) herself!